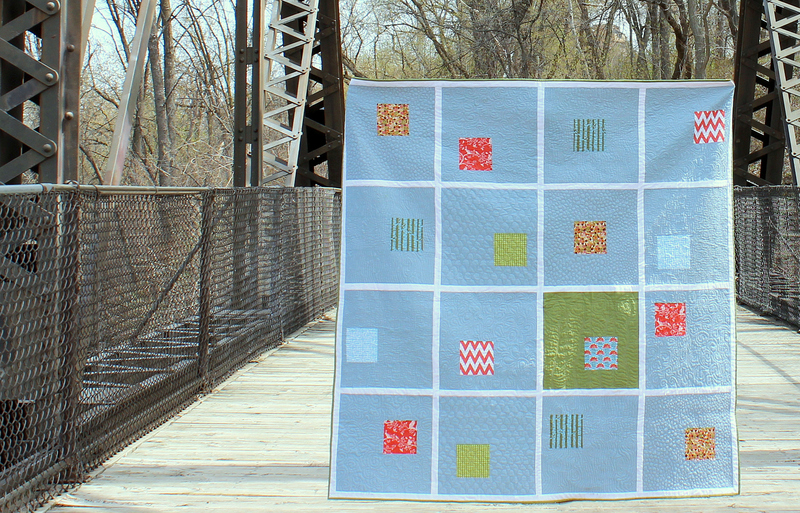 A lot of you have asked me about a freezer paper tutorial, so here it is. 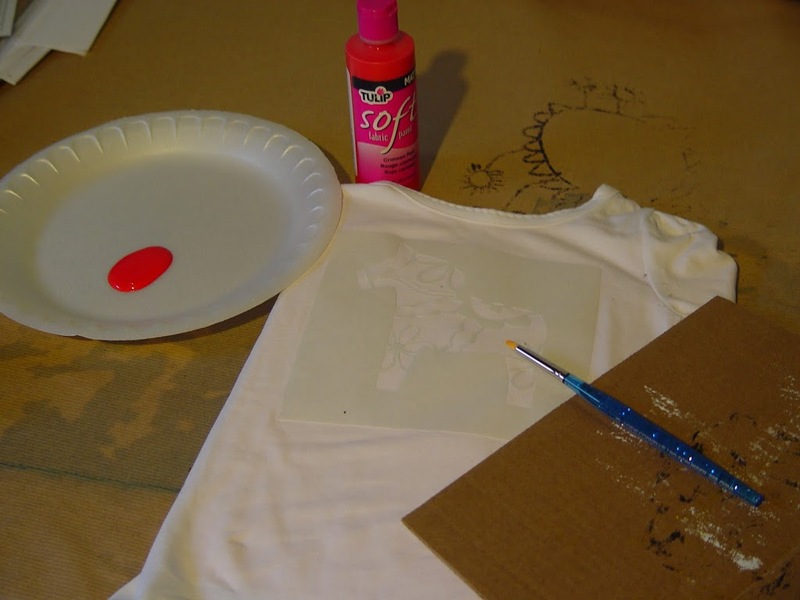 Using freezer paper to paint images on clothing is an easy, inexpensive way to spice up a plain shirt. First you’ll need to decide on an image. 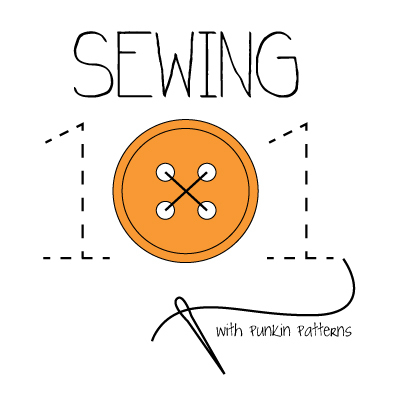 You can draw one free hand or just copy one. 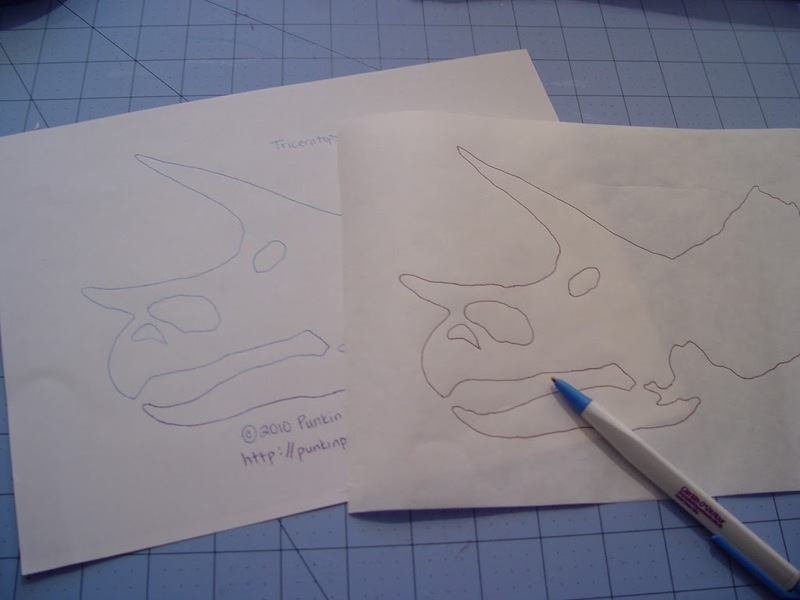 If you’re copying one, simply place the freezer paper over your image and trace with a pen or pencil. 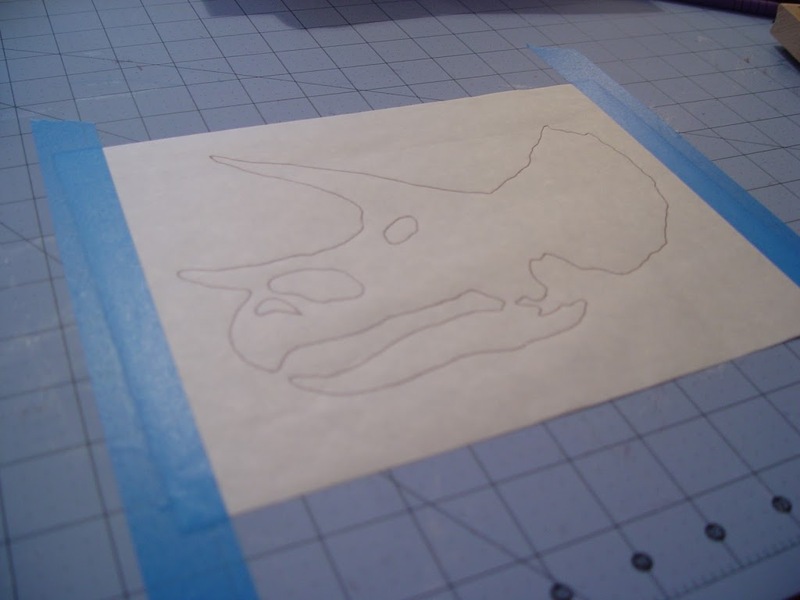 Next tape your freezer paper down onto the cutting mat (so it doesn’t move) and cut out your image carefully. 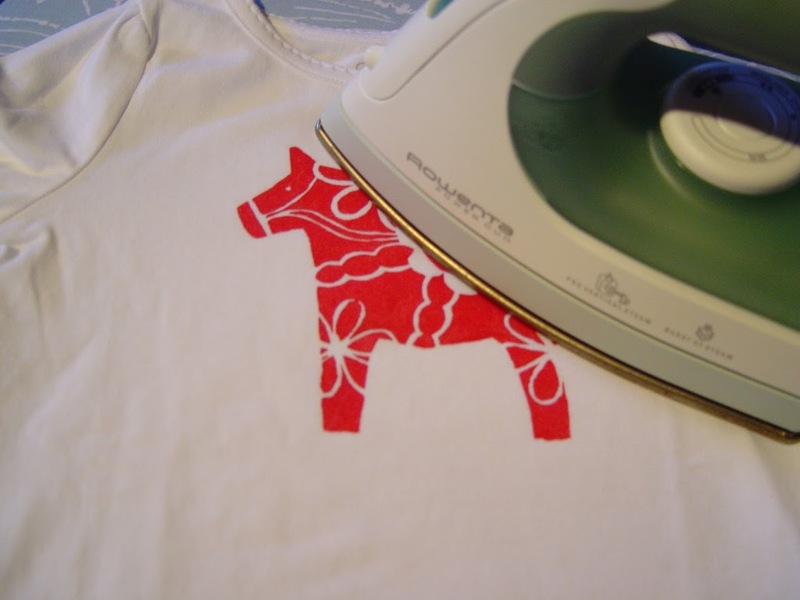 Iron the freezer paper on your shirt (waxy side down). There are a few different ways you can do this. Each yields different results. The first is to simply paint with a paintbrush covering the open space. 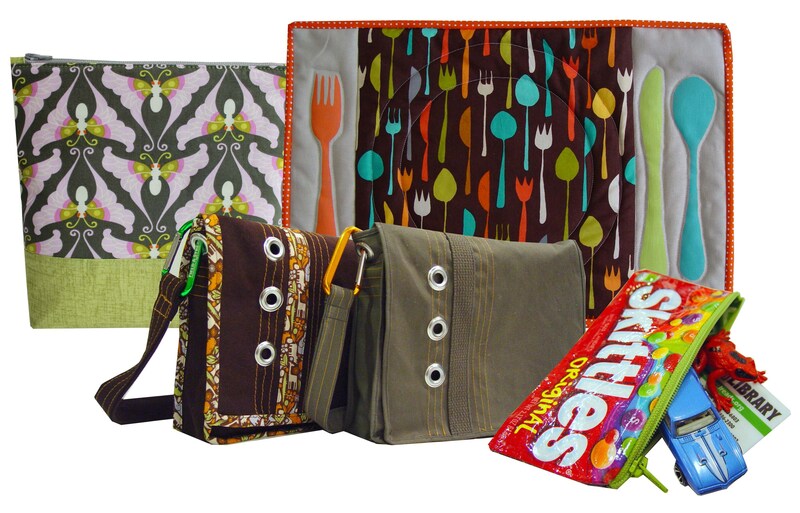 Don’t worry if you get paint on the freezer paper, it won’t go through. Let it dry. (Do another coat if it needs it). Once dry simply peel off the paper. Heat setting your image (when completely dry – I like to wait at least a day). 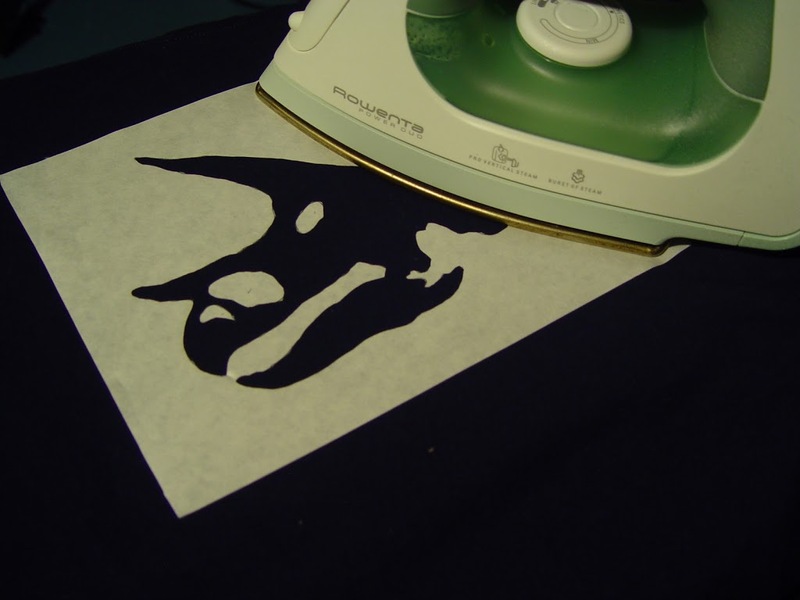 With your iron on the hottest setting your fabric can take, simply iron the painted section until the paint feels smooth (usually 10 seconds or so). You can actually feel the difference in texture with your fingers. 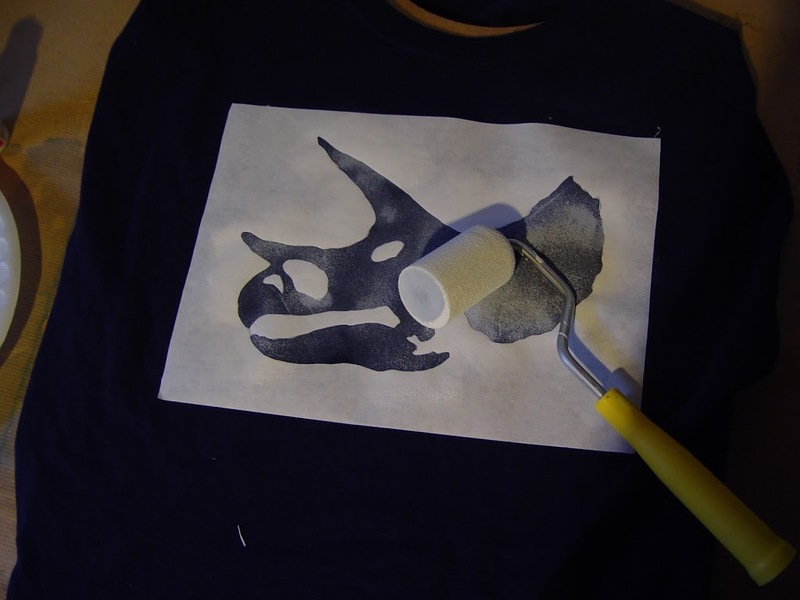 To get a more faded/washed out look, simply use a paint roller and paint to your desired look. 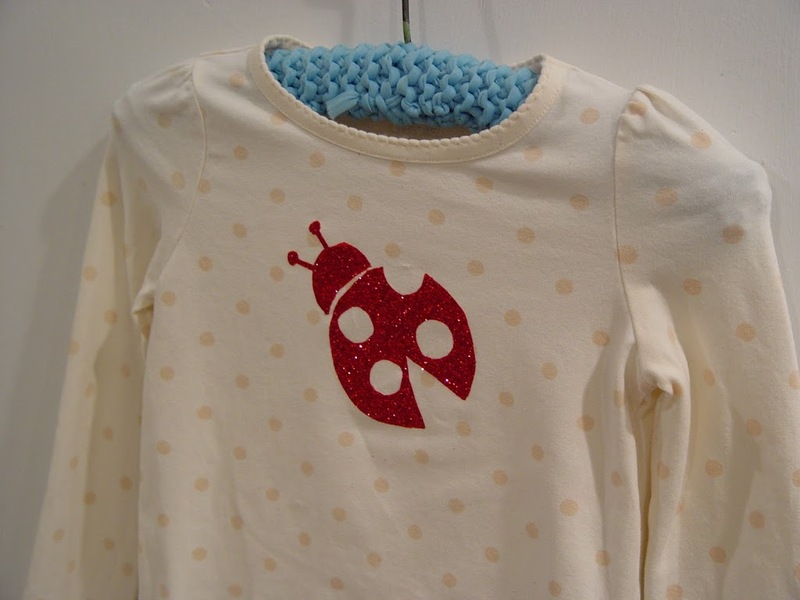 Adding washable fabric glitter: First paint a single coat of paint on. 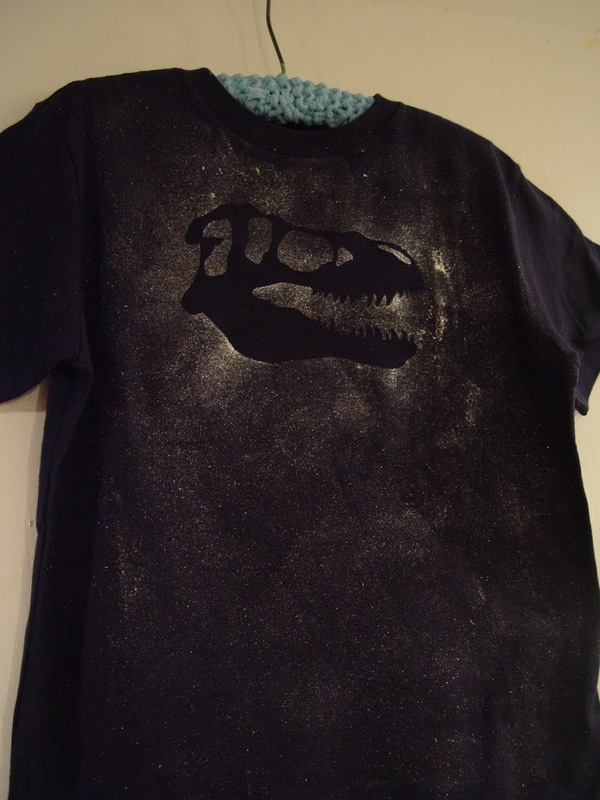 Once dry (and before you’ve removed the freezer paper), you can apply some fabric glue and then the glitter. Once the glue has dried, remove the freezer paper. 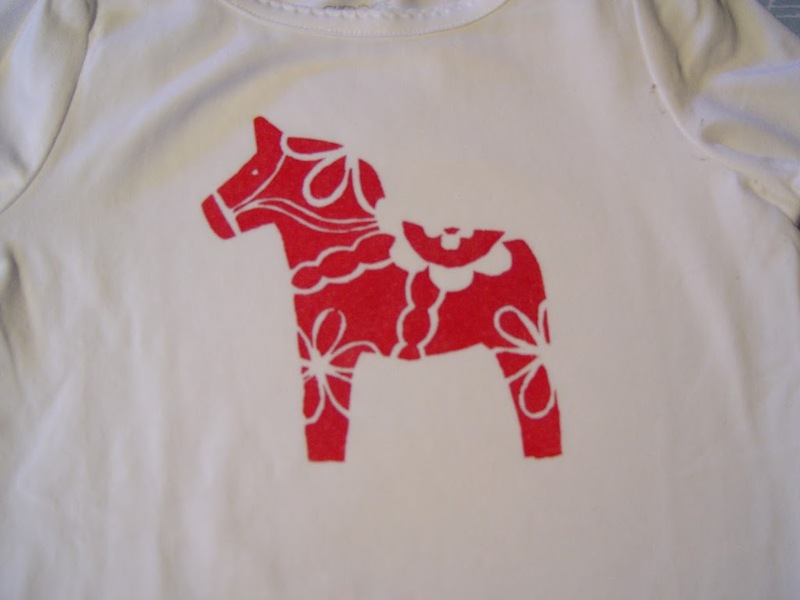 You can also you use the positive part of the image (and paint around it leaving the shirt unpainted where your image is). 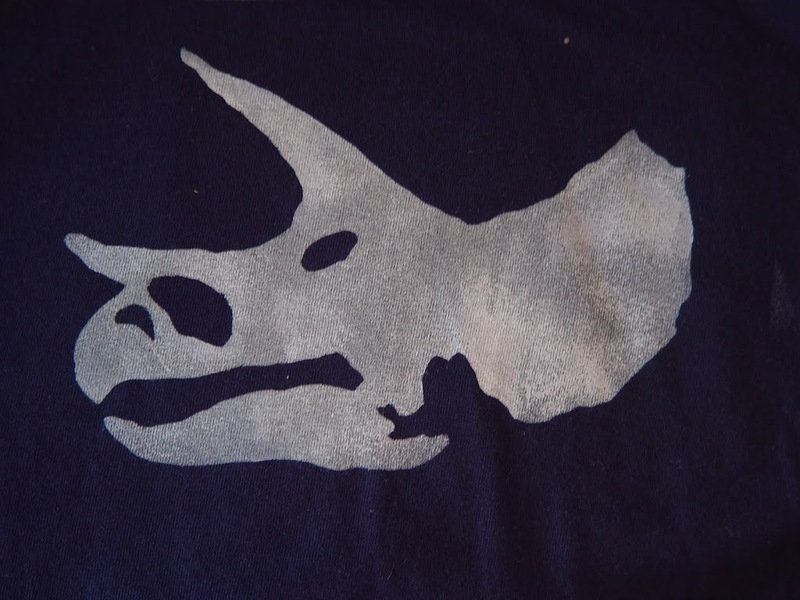 I used a roller and some metallic paint and painted with a very small amount of paint around the freezer paper. For a cracked aged look: Simply paint with a brush as explained above. Two to three coats works well here. Don’t heat set it. 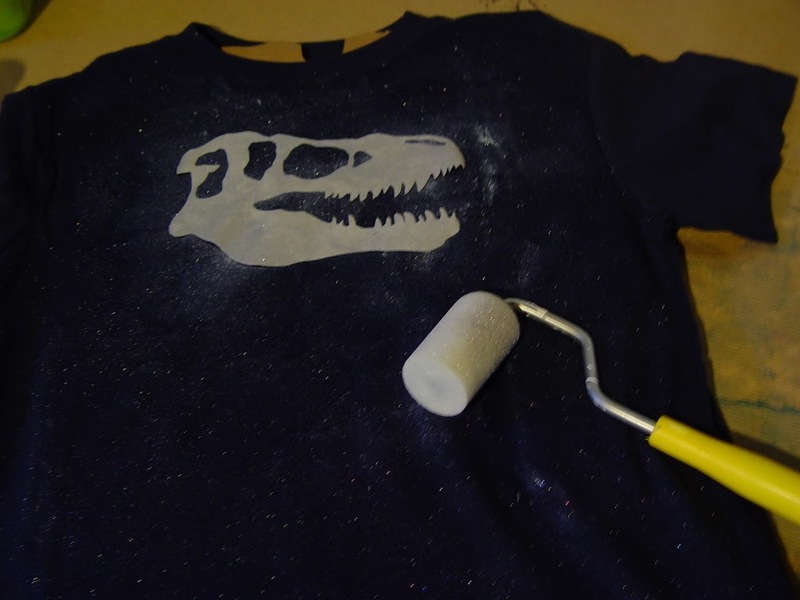 Wait 36 hrs (or whatever time your paint needs to be washable – per the instructions on the bottle), then start washing the shirt. 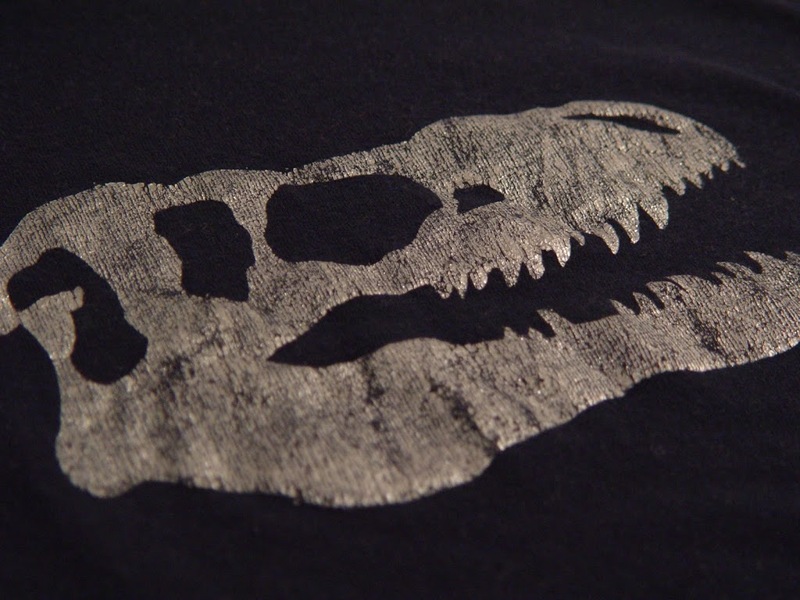 You’ll need to wash it at least a dozen times (or more) depending on how aged you want it. Once it’s cracked the way you like it, heat treat it (as explained above). 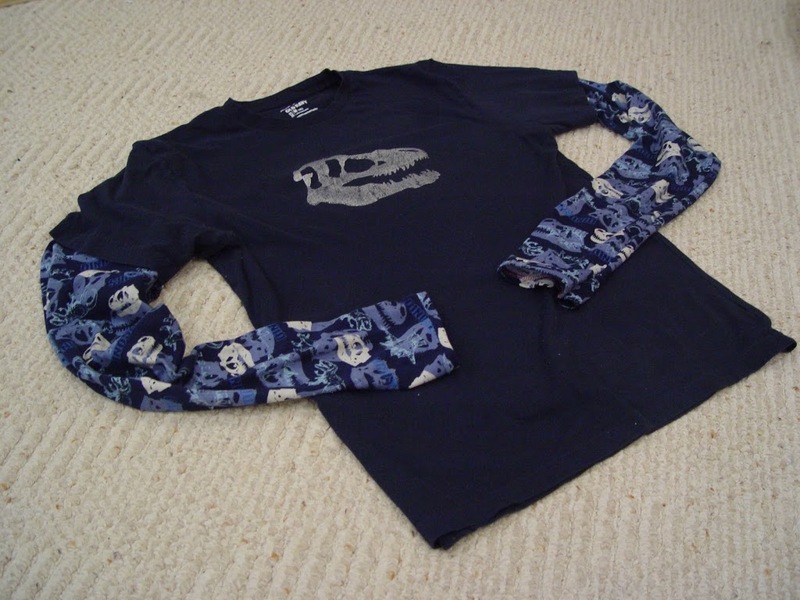 I added sleeves to this shirt using this tutorial. A friend saw my son’s version and wanted an adult size for himself. Let me know if you have any questions. Happy painting! 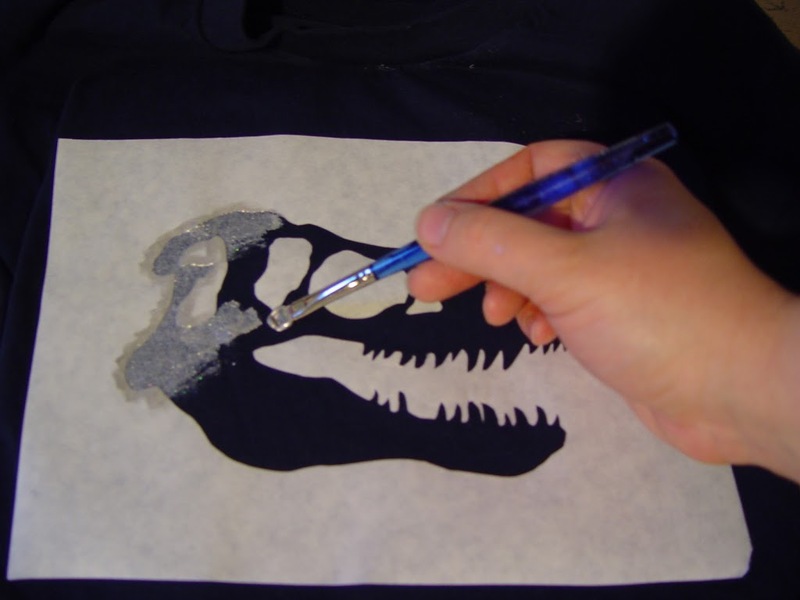 I usually just use plain acrylic paint when I stencil on clothing. 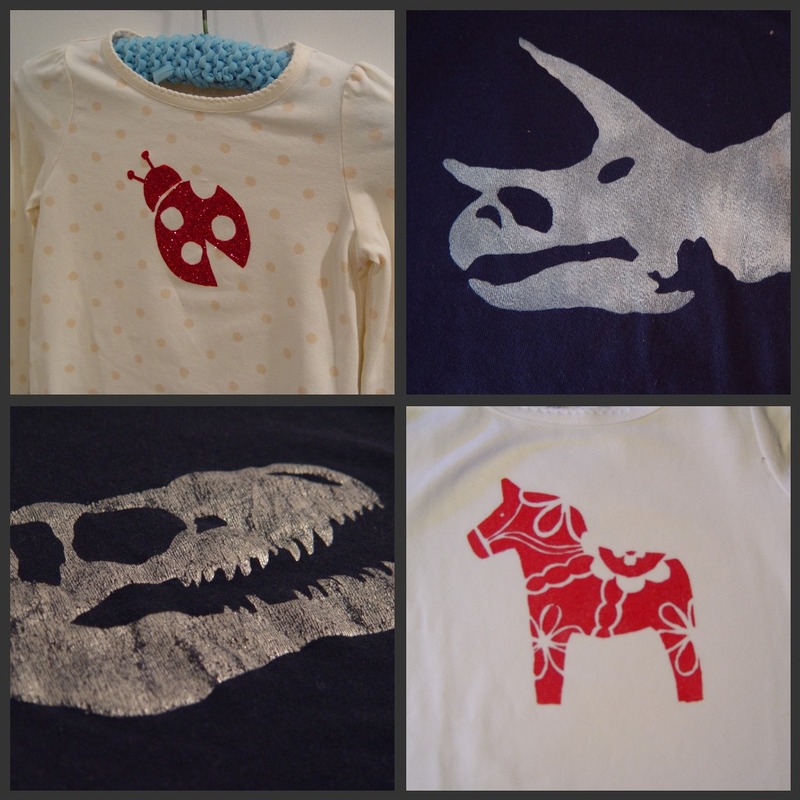 Is there a specific reason you use fabric paint? I want to do one with the cracked, aged look you did at the bottom and am wondering if acrylic will work just as well. I usually just one of those blotter sponges to paint with vs a brush. Will that work out the same? 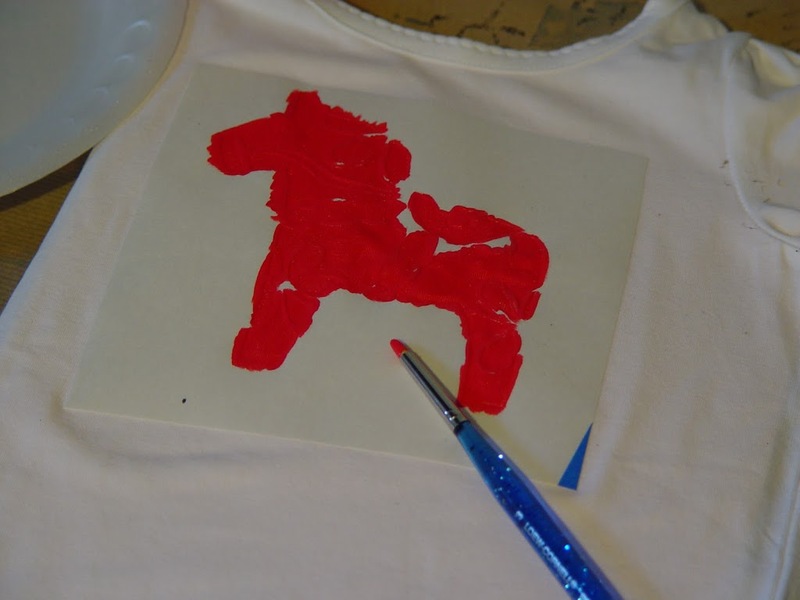 I used fabric paint because the end result is a bit softer and that’s my preference — Acrylic can be used, it’s just stiffer – especially if you do a few layers. I would try it. I think the blotter sponges tend to leave less paint on your surface but they should work too.